I am committed to personal and professional service with enthusiasm! Being an Associate Broker means more than selling homes - - it’s about people, families and their hopes and dreams. It’s a relationship based on trust, knowledge and expertise. My clients can be assured that I will go the extra mile to make sure that their experience is the best they’ll ever have! There are many qualities and skills that contribute to being an excellent real estate professional - integrity, experience, in-depth community and market knowledge, marketing savvy, effective negotiation skills, and a high-quality professional network - all of which are hallmarks of how The Duering Team works. In my experience as PA & DE real estate professionals, providing the very best service means putting the client first. This means being accessible, being a good listener and communicator, and responding quickly to your needs. This "client first" philosophy has always been my approach and it requires me to continually improve my skills and ways of doing business. In addition, the latest technologies are enabling the myself to do everything I have always done, only much more quickly and efficiently. 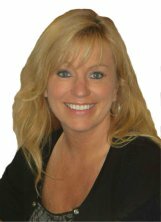 So when you decide that you'd like to buy or sell a home in PA or DE, please contact Tammy at 610-306-2401! Our Experience, 34 Years and Over 1000 Real Estate Transactions Experience in Real Estate is usually measured in one of two ways, numbers of years or number of transactions. In our opinion, the best way to measure experience is in number of transactions over the last 5 to 10 years. The Duering Team offers both, averaging over 40 transactions per year over the last 14 years. With over 34 combined years in over 1000 real estate transactions, Tammy and Mike Duering have seen just about everything there is in Real Estate. From Buyers markets to Sellers markets, from first time home buyers to downsizing empty nesters to estate sales, from foreclosure and short sales to 1031 tax deferred exchanges, we’ve experienced just about every situation. Mike & Tammy’s record of achievement began in 1995 when Mike joined Century 21 as a full time agent. By 1997, Mike was in the top 2% in total sales nationally for C-21 agents and awarded the prestigious “Centurion” award. Since joining RE/MAX in 1999, both Tammy and Mike have been recognized as Top Selling and Listing Agents in the RE/MAX system locally and nationally. Locally receiving Top Sales and Top Listing Agents Awards within the offices they worked and nationally recognized by RE/MAX International every year with the 100% Club Award and Tammy’s Platinum Club Award in 2007. Tammy has also been inducted into the RE/MAX "Hall of Fame"! Only 12 percent of all RE/MAX Associates have earned this prestigious award! Tammy is a graduate of the Howard Briton's Star Power University Listing Specialization Course and a graduate of the Brian Buffini's Turning Point Course! A huge part of keeping up with the vastly changing times is continuing education. Tammy has recently gone back to school and obtained her Associates Broker’s license. Tammy is also taking a refresher course with the Brian Buffini system.